Capri is definitely a key stop for those visiting the Amalfi Coast. – private boat: guided by you or with sailor and many other services; you can decide to stop for a swim and admire the other wonders of the coast on the way. The service could be expensive, but if you are in a group, or you prefer an independent trip, it’s the best solution. – organized tours: they are usually composed of 10/12 people. Booking in advance in high season is preferable. The costs are quite low and you will be sure to be guided from the departure to the return. It is ideal for those who do not want to take care of the travel planning and the island tour. – ferry: the public service is very efficient especially in high season. Ferries make stops in different ports. It is certainly the cheapest method, but we advise you to organize well before departure. Once in Capri, the transportations available to get around the island are: the funicular, buses, taxis, boats … on foot. Capri is a vertical island, made of continuous ups and downs, so often to go from one point to another of the coast the most convenient and rapid transportation is the boat. 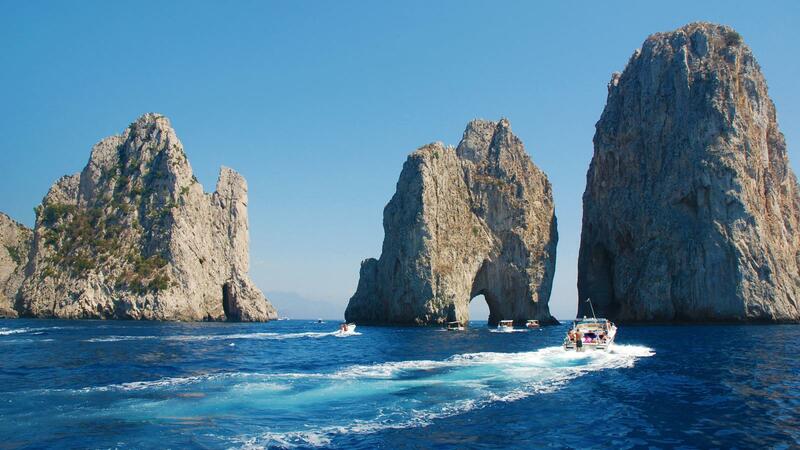 We suggest this itinerary to help you organizing your day in Capri.